After acquiring 9 plots of land on Brentwood Road in Essex, Cliff Park Developments wanted to create a modern Cul-de-sac with a sleek finish. They required each of the homes on the different plots of land to have their own unique flair and creativity. Magnet Trade CKS were chosen as the kitchen suppliers for the project as they offered high quality products, great designs and competitive pricing. 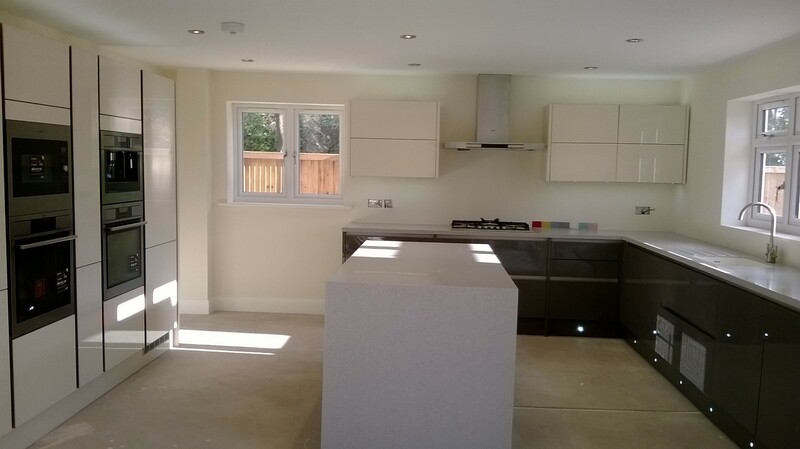 Over 9 months, Magnet fitted the homes with different two toned colour combinations of Integra Kitchen ranges with Quartz or Corian worktops and AEG appliances. Throughout the completion of the project, Cliff Park Developments recognised the high level of service offered by Magnet’s dedicated Project Design Manager, Lawrance Devon for his continuous presence on site offering advice and assistance. Furthermore, Lawrance was supported by Katy from the Magnet Romford store for her reactive nature to the work from start to finish of the project.